The most common causes of printing problems are empty cartridges, but did you know you can not print even if only one cartridge is empty? 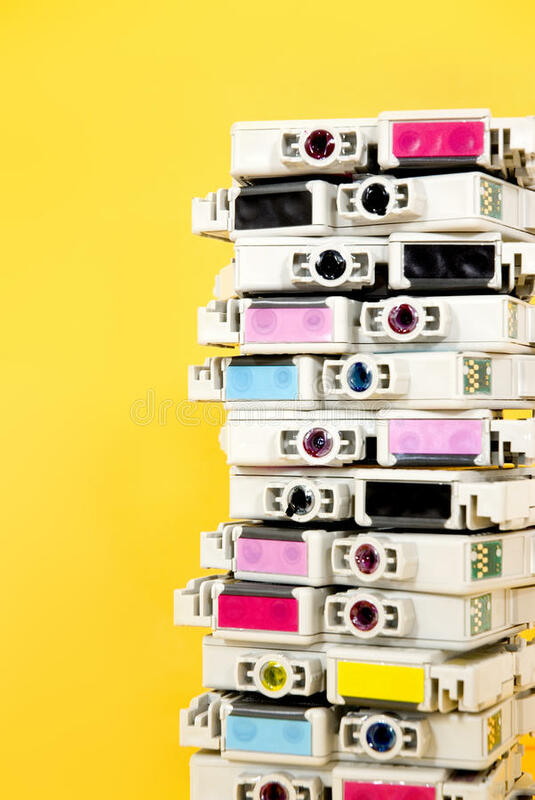 For example, if you want to print with black ink only, but one of your color cartridges (like cyan or magenta) is empty, it will still prevent you from printing. This article will provide some insight as to why this problem occurs and why it is that way. If you are troubleshooting your printer, check that the printer is plugged in, the settings are correct, and that you have actually sent the document to the printer before getting started. You cannot print in black only if a color ink cartridge is empty. Your printer is designed to print only when all ink cartridges have ink to prevent clogs in the printing mechanism and other print quality issues, a little ink must be available in all the cartridges to perform periodic servicing tasks. 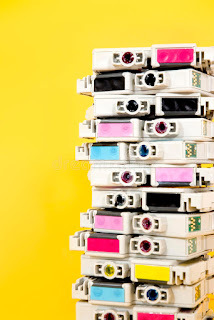 Even if you tend to print in black and white, your color ink cartridges will gradually empty. To decrease grain, some black areas might be printed with a mix of black and color inks. If you follow the steps later in this article to print with black ink only, you can ensure no color ink is used in your prints. However, a little ink from all the ink cartridges is used in periodic servicing tasks. This helps to prevent issues such as print head clogs and poor print quality. You may not see a message prompting you to use black or color ink only. The printer must reserve enough ink for the servicing tasks that keep the print head functioning, as mentioned before. If there is enough ink for servicing and for printing with black ink only, or color ink only, then that message appears. If there is not enough ink for both printing and servicing, then the cartridge must be replaced to continue printing. When an ink cartridge is fully depleted, it must be replaced before you can begin to print again. This is an easy fix. If you do not already know what type of cartridges to buy, simply search for your printer model and you can find what you need from there. Purchase the ink needed and replace the empty cartridge in your printer. You also have the option of printing in grayscale rather than in color or black. If you recently bought a new ink cartridge, and it is not working or the printer indicates that it is empty, check the ink cartridge warranty status. Most printers offer a standard warranty, and you should ensure that you understand the terms and conditions of it before you make your purchase. The main points of cartridge color use have been covered. You should always verify your print settings before use. it is also important to ensure that each of the printer ink cartridges is filled. This will make your experience seamless and efficient.